Texting has taken higher education by storm and is now the most effective way to communicate with today’s students. Of course, as with the introduction of any new technology, it’s important to be thoughtful about implementation and governance. In this article, we’ll answer—in both high and detailed levels–the six most pertinent questions regarding the management of texting preferences across the institution. What are the legalities and privacy considerations associated with texting students? Who (departments and staff members) should have the ability to text students? 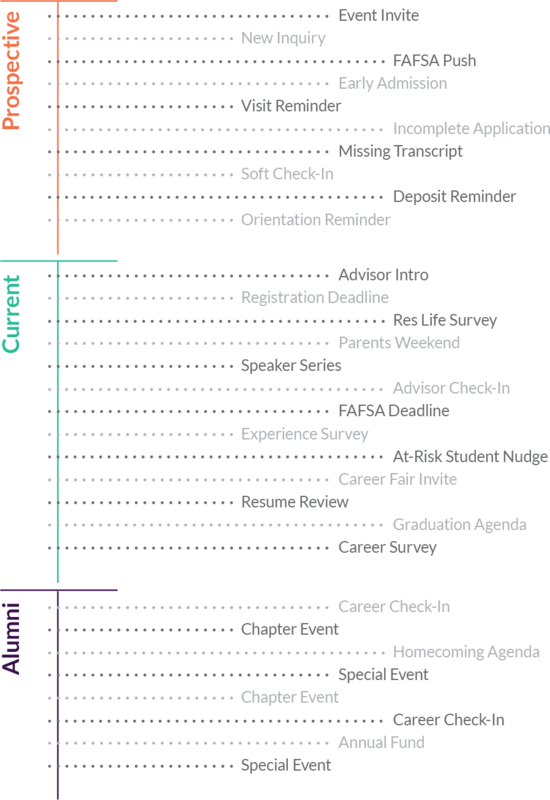 Which touchpoints are appropriate via text message? How would a student opt in or opt out of messaging from a particular person or department? 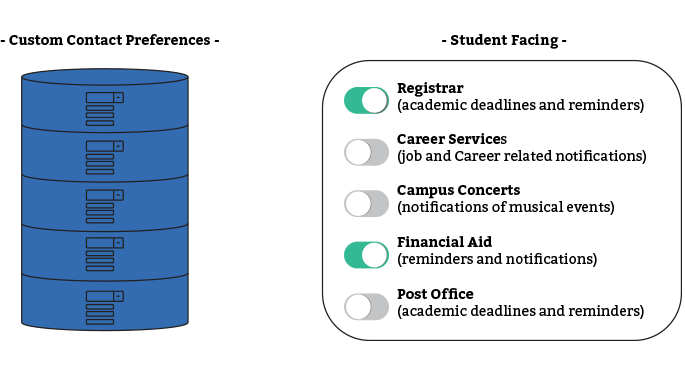 How are these texting preferences maintained and recorded in the various information systems across campus? How do I allow students to manage their own texting preferences across the enterprise? 1. What are the legalities and privacy considerations associated with texting students? The short answer: The FCC updated the Telephone Consumer Protection Act in 2012 which contains strict limitations on brands sending texts to mobile phones. However, non-profits are exempt from these limitations. So (assuming you are a non-profit), you do not need any permission or opt-in to contact a student by text message. In addition to the legalities, there are ethical responsibilities to consider. Just because you have the ability to text students doesn’t mean you should open the floodgates for your campus. We have another post on this topic specifically: The Legalities of Texting Students. 2. Who (departments and staff members) should have the ability to text students? We highly recommend all institutions establish a text message policy that clearly outlines who is authorized to text as well as important guidelines. To help you get started, we’ve created a free text messaging policy template that you can download and modify to your needs. 3. Which touchpoints are appropriate via text message? 1. Is this valuable content for the student? 2. Is this message relevant? 3. Am I being personal? It’s important to keep in mind that a student’s mobile phone is a highly personal space. While students are receptive to texts from institutions, they are staunchly opposed to spam. So regardless of the law, always remember: if a student feels that it's spam – then it's spam. 4. 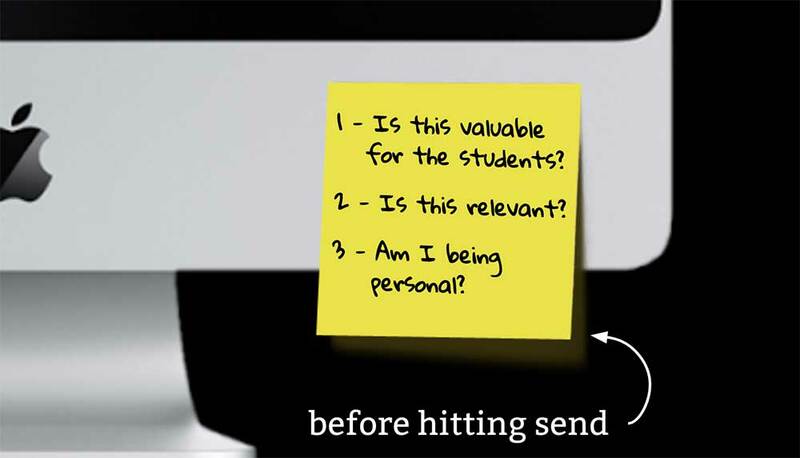 How would a student opt in or opt out of messaging from a particular person or department? The short answer: If you are only granting very particular offices the ability to text (as in the scenario outlined above), no opt-in would be necessary. However, you should absolutely give students the ability to opt out if they feel the messages are not relevant or appropriate. Opt-outs should be department specific. When a student opts out, we want to ensure that opt-out status is only relevant for that department. For example, if a student opts out because Financial Aid was too aggressive and texted everyday with a FAFSA reminder, that should not preclude the student’s advisor from texting to set up a meeting. Using Cadence, there are two ways that they can be opted out of receiving texts. Students can opt out by replying to a text sent from Cadence with one of the following trigger words: STOP, STOPALL, UNSUBSCRIBE, CANCEL, END, or QUIT. The student will receive one final automated message confirming that the opt-out has occurred. Finally, the student will be opted out of receiving texts from anyone in that department. In most cases, students will not be aware that your offices are using a texting platform. Rather they will feel that a person is texting them directly. So, a student may reply to admissions with “I decided to enroll at a different institution.” Or they may reply to financial aid with “please stop texting me regarding financial aid matters.” In these cases, students use natural language to explain that they do not wish to receive more text messages. These students should be manually opt ed out by the staff member who received the response. In Cadence, it is as simple as clicking “opt out”. 5. How are these texting preferences maintained and recorded in the various information systems across campus? The short answer: We already know that opt-out status is department specific. An easy way to manage texting preferences is to allow your SMS Management Platform to be the sole location of texting preferences. However, you may want to maintain a record of of the texting preferences in the information system specific to that department. Depending on what departments are utilizing texting, the information system could be a CRM, ERP, Success/Retention System, Advancement/Fundraising, or Athletics System. Of course, each system is different. But in general we recommend adding a “texting opt-in” field as a custom field to the contact record. If your system is flexible enough to allow for fully custom objects, add an opt-out preferences object that can store both the preference and the area/department that the preference is for – and associate a list of those with your contact object. We mentioned earlier that an opt-out may be a decision made by the student or by the staff member. Either way, it is an opt-out. Cadence, in particular, has custom webhooks which are fired whenever an opt-out occurs. The webhook would post to an endpoint that you define and can programatically update that particular opt-out field. If it’s easier for your information system to ingest a file of opt-out changes, a flat file can be produced with the same data. Finally, if all else fails, an email can be automatically triggered asking a staff member to manually update the information system. The short answer: Ideally, a student would be able to provide updates to all of their contact preferences in an easy and secure location. It should be clear to the student what he or she is opting in or out of, and it should be at a granularity that makes sense for your institution. If you’re able to make extensions to your portal or student engagement platform, an option that allows you to accomplish the goals above is to add a set of student facing choices to collect and display their current contact preferences. You’ve already authenticated students into this system, and they are accustomed to interacting with it and updating their personal data. If your information system has an API, web services, or direct database access, you could push these changes directly into it. If that’s not a possibility, you can use some simple custom code to push those changes directly to Cadence's API where they can be stored and retrieved when the student comes back. Either way, you have a system of record for the student’s texting communication preferences in a trusted location, at an appropriate level of granularity. Texting is undoubtedly a powerful tool that can drastically improve communication with all cohorts. At the same time, institutions must be prudent in using the medium in a lawful, thoughtful, and respective manner. At Mongoose, we’ve gained a wealth of information on the science and art of texting in higher education, and we invite you to peruse our blog for more insights, or download our free template.